To win the Card Player Player of the Year award one needs to show an incredible level of consistency on the live tournament circuit over a 12-month period. One year is often far from the whole picture, however, so we thought we’d take a look at the top 200 finishers in the POY race over the last five years to try to determine who has put together the best, most reliable half decade in poker. 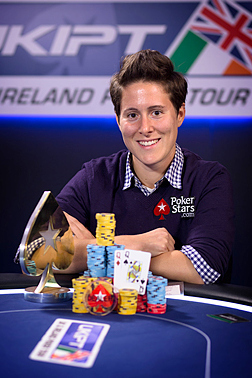 The answer was, unequivocally, Vanessa Selbst. Selbst was one of only two players to make the top 200 all five years, joining Will “The Thrill” Failla in that rarified air. However, while Failla averaged 62nd place in the rankings over that period, Selbst’s average finish was 22nd place! Nobody accrued more POY points since 2010 then Selbst, who finished inside the top five in the rankings twice (3rd in 2013 and 4th in 2010). Along the way she made 20 final tables and emerged victorious with 10 titles, meaning that she won half of the tournaments that she final tabled. With cashes totaling $9,122,811 over the five-year span, Selbst also proved to be one of the game’s biggest earners in recent years. Failla put together 11,936 total POY points and $2,704,092 in earnings in his five consecutive years inside the top 200. He won 12 titles along the way and made 42 final tables, often in smaller buy-in events though. His highest finish in the standings was 23rd place in 2012. A total of 40 players made the top 200 three out of the last five years, including some of the biggest names in the game like 2013 Player of the Year Daniel Negreanu, Antonio Esfandiari, Phil Ivey, Phil Hellmuth, Dan Smith, Michael Mizrachi and many more. Looked at in total, the list of the last five year’s top 200 finishers in the POY standings demonstrates that there is an elite class in the live tournament game who have proven their skill with an incredible consistency over a 60-month span.